The following links provide useful information on topics related to veterinary medicine and general pet care. We work in partnership with the Emergency Animal Hospital of Northwest Austin. We refer patients that need continued care to this facility, and recommend that clients use their services when our office is closed. The ASPCA Animal Poison Control Center (APCC) is your best resource for any poison-related emergency – 24 hours a day, 365 days a year. If you think your pet may have ingested a poisonous substance, call (888) 426-4435. A $65 consultation fee may be applied to your credit card. Poison Control experts may also provide valuable information to help pet owners recognize potentially hazardous substances, including plants, human foods, human medications, and more. Dog Chocolate Toxicity Meter – Chocolate contains chemicals known as methylxanthines (specifically, caffeine and theobromine), which are highly toxic to dogs. In general, the darker and more bitter the chocolate, the greater the danger. The following link will help you calculate the risk posed to your dog after an accidental chocolate ingestion. The following sites contain information about pet food recall as well as tools to help you choose the right food for your pet. The Association of American Feed Control Officials (AAFCO) is an association of local, state and federal agencies charged with the regulation of pet foods and animal drug remedies. This website offers practical guidance about pet food. This link from the FDA provides updated information on pet food recalls. The following websites contain useful information about your pet’s health, including dental care, behavior, general health and wellness, and common diseases. The American Animal Hospital Association – Established in 1933 by leaders in the veterinary profession, AAHA is best known for its accreditation of companion animal practices. To become accredited, animal hospitals undergo regular comprehensive evaluations by AAHA experts based on approximately 900 standards of veterinary care. Founded in 1991, the Veterinary Information Network, Inc. (VIN) is the veterinary profession’s premiere online resource, providing doctors, students, and other members of the industry with the tools they need to address the demands of a modern veterinary practice. VIN extends its commitment to the well-being of companion animals by providing the finest in online pet health information on its client education website. The loss of a pet can be a devastating experience for many pet owners. The following links offer resources and support. 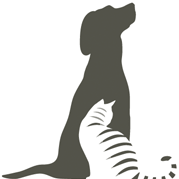 A local pet loss support group, which meets monthly. Helpful information regarding pet loss from Tufts University Cummings School of Veterinary Medicine.